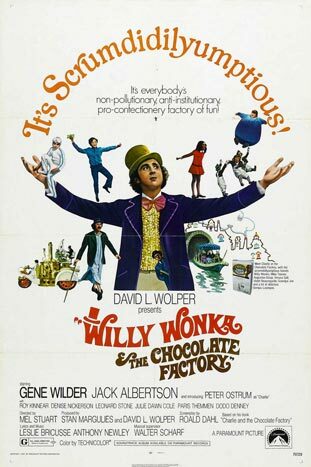 The world is astounded when Willy Wonka, for years a recluse in his factory, announces that five lucky people will be given a tour of the factory, shown all the secrets of his amazing candy, and one will win a lifetime supply of Wonka chocolate. Nobody wants the prize more than young Charlie, but as his family is so poor that buying even one bar of chocolate is a treat, buying enough bars to find one of the five golden tickets is unlikely in the extreme. But in movieland, magic can happen. Charlie, along with four somewhat odious other children, get the chance of a lifetime and a tour of the factory. Along the way, mild disasters befall each of the odious children, but can Charlie beat the odds and grab the brass ring.